It�s no secret that to be a successful investor or speculator, you have to govern yourself according to a set of rules. And I can�t find any better core rule than the famous Buffett quote above. It�s one that is the cornerstone of my investing career. If it�s not taped to your fridge or your multi-screen trading desk, it should be. But how can you actually put this rule into practice? And what are the common mistakes that new investors make over and over again that violate this rule? Every week I get an inbox full of emails from new readers, subscribers and seasoned veterans. Today I�ll introduce you to the four most common problems that investors have while investing in junior mining stocks. 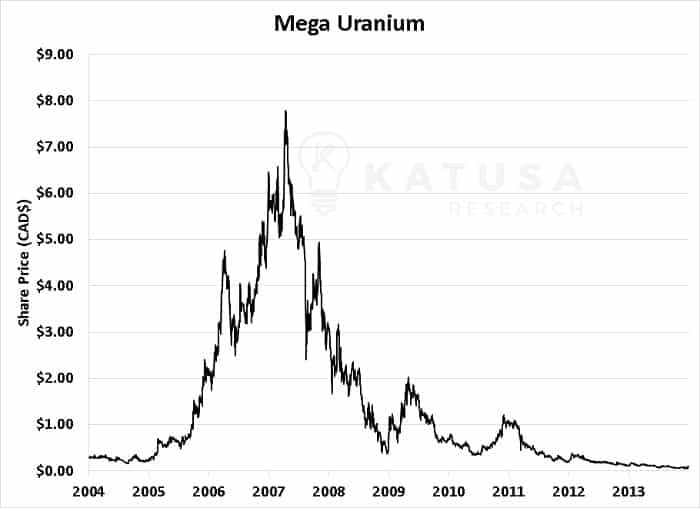 My first big experience behind the scenes of a bull market was the extraordinary spike in the price of uranium around 2006. I saw euphoria first hand. Brokers were making a killing, accredited investors were making a killing, retail investors were making a killing. I made a killing. A bull market almost always makes even the smartest people throw caution and risk right out the window. Share prices of companies with nothing more than uranium in their name were flying through the roof, everyone was making a fortune. New uranium companies were being created by the day to explore domestic foreign ground for the radioactive lust dust projects. Gurus were marketed like geniuses by every publishing house. And lucky for them, spell check was created so they could now spell uranium and the Athabasca Basin. Then reality set in. The bubble popped hard. Companies need to prove their business plans, catalysts, projects and assets. And only back the best management teams with skin in the game at the same price as yourself. When bubbles kick in, people forget the basics like delivering on real revenue or buyout potential. Especially if their market caps are in the stratosphere. What was once a 5,230% gain, turning every $2,500 invested into $130,825� is now a 98% loss. And that�s a huge blow up of your capital if you bought into the mania near the top (which many do). So that brings me to my first rule: Don�t blow up. Sounds easy, right? Well, it�s not. When everyone around you is making a fortune in Bitcoin, marijuana, gold or lithium your first instinct isn�t to sell, and miss out on higher returns. This is the Dunning-Kruger Effect in action. Penned by then Cornell University psychologists David Dunning and Justin Kruger, they found a cognitive bias where poor performers at something had no clue they were incompetent. This leads to an inflated self-assessment of your abilities and makes you think you�re much better at something than you really are. 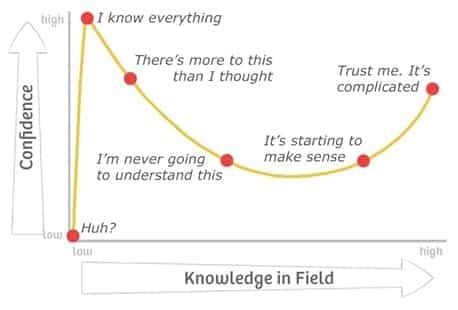 The Dunning-Kruger Effect is best illustrated in the simple chart below�. It takes firsthand and direct experience in a sector to truly understand it. And it�s why I put my research together for best and worst cases in a particular sector every month for my subscribers. It keeps me sharp, in the game and on the lookout. You can apply that hockey stick rise at the beginning of the Dunning�Kruger Effect chart to almost any recent mania market like Cryptos or Cannabis. In the past it has applied to uranium, gold, silver, oil and tech stocks. No market sector is immune. It will happen again. So how do you put limits on yourself, protect your capital and your profits to not blow up? I told my subscribers to lock gains on all stocks and to de-risk their portfolio by taking a Katusa Free Ride. Many subscribers went ballistic saying that I wasn�t bullish enough and brought unnecessary caution to the table, taking profits and de-risking positions. In fact, one-third of our paid subscribers specifically asked for refunds because they thought I was bearish and flat out wrong because oil was going to the moon. A monthlater, oil peaked at $145 per barrel. And within 3 months we were in the depths of the GFC(global financial crisis). Oil went from $145 per barrel to under $30 per barrel during that time. The Katusa Free Ride formula saved me and the subscribers that heeded my advice. Yes, a stock pick might fly higher, and you WILL get upset that you lost out on profits if you sell too early. But prudent investing is where the Katusa Free Ride becomes instrumental to building your net worth. People need to book paper gains into realized profits. Paper profits don�t mean much in the real world. What better way to ride the wave of a stock than to remove your risk capital and play with house money? There is nothing like O.P.M. � Other People�s Money � to play the game with. It is a simple formula that tells you how many shares to sell to return your original investment. Take your initial capital and profits off the table. You can do this by taking a Katusa Free Ride, where you recoup your original investment and profit and let the rest ride with house money. Only you know what your risk tolerance is. But I�m not afraid to cut a winning or a losing position. Over the years, I have seen the position size mistake happen countless times with novice junior miner investors. A new investor believes in the pitch of a guru and goes all in on a junior mining stock. The entire portfolio (say a $50,000 portfolio for example) is almost entirely made up of one speculative junior. That�s irresponsible. Sorry to break this, but most gurus don�t even buy the stocks they pitch. And even worse, many are compensated and paid to talk about stocks. If the guru has no actual dollars and skin in the game (with full disclosure on cost base) run as far away as you can. Allocating 5% (for speculations) and 10% (on investments) depends on risk tolerance. Anything higher is a recipe for disaster. If you�re starting out, err on the conservative side. Your $50,000 portfolio dropping to $48,750 because the one speculative stock dropped 75%? Only you can answer this. But the name of the game is long term success, not overnight wonders. Limiting a position size helps to manage your overall portfolio against the worst-case scenario. It is prudent to structure your portfolio so that you�re not overweight in any one stock. I�ve been guilty of overweighting some of my positions in the past. I don�t pretend to be a genius or a saint. But I share this all so you don�t make the mistakes that I have made in the past. And please do not ever invest with the money needed to pay your mortgage, tuition or other essentials in life. Unless you have a biblical tolerance for risk in crisis situations, you�ll get crushed. Keep in mind that 99.99% of people who can fog a mirror should not use any leverage tools for investing. Taking a mortgage or line of credit to invest in the markets is taking excessive risk in this sector. You will set yourself up for hardship. If you are jeopardizing your standard of living for yourself or your family, don�t even consider it. If you�re a novice or intermediate investor that is new to investing in resources and juniors, just don�t do it. There�s no sense to impoverish yourself by taking irresponsible risks. If you�ve built up a great tolerance for risk (and this takes 10+ years of many extreme emotional swings and cycles�and it�s still incredibly stressful) then you can start to consider it. 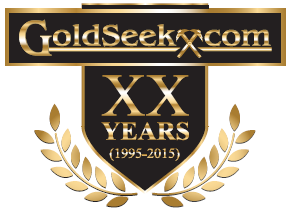 When I first started out, I took some insane risk and I don�t recommend that experience. I currently will not use leverage investing in juniors. Remember, never risk any cash and capital that you cannot afford to burn up faster than the Hindenburg. These are juniors � the riskiest and most rewarding stocks on earth. With leverage you can easily amplify your losses to exceed more than 100%. If you have cash set aside for your kid�s college tuition, your mortgage, and health expenses, those should always be a priority over speculative investments. Don�t be a gambler. Be a wise alligator. And be a risk taker when the odds are in your favour by placing asymmetric bets. Stocks are the opposite of true love. Have you ever been in love? If you have been lucky enough to have experienced true love, you know it�s a once in a life time feeling. Stocks are the exact opposite. The prudent strategy is to take a profit or cut a loss and move on. There is no working on the �relationship� with stocks. If the company isn�t doing what you expected, sell and move on. There are no therapy sessions or hoping things will change. Like trash, some things need to be thrown out into the garbage and incinerated for good � no recycling necessary. And be aware of that dangerous emotional drug, Hopium. There is no forgiving in successful stock speculation. If management have lied or over promised and they fail to deliver. Sell and move on. There is no room for �hope�. Don�t hope that a stock you own will get to the price it once was whether you�re sitting on a profit or loss. You�ll be greatly disappointed, jaded, dejected and clouded. Don�t wish upon the market for what you want to happen either. Position yourself for what the odds outline will happen in certain scenarios. Sometimes, for whatever reason, an investment might cause you stress to the point that you cannot sleep or are overly distracted from your daily life. If this happens, sell enough stock to alleviate the situation. Life is too short. Have fun. There will always be another opportunity. Speculation is a journey where the reward is money and the experience, but it�s not for everyone. If your stress level becomes intolerable, you�re either over-invested or speculating just isn�t for you. 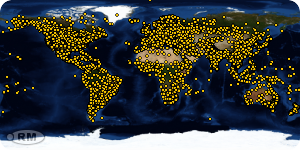 That�s ok, you�ve found out more about your own personal tolerance.